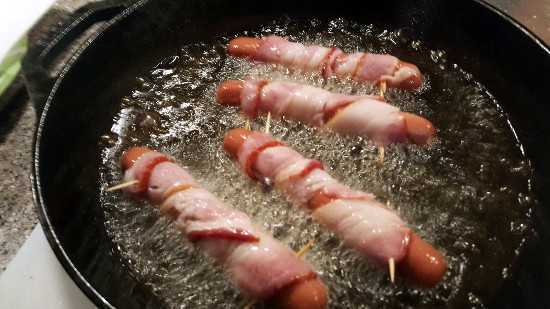 These directions involve deep frying however you can certainly cook them on your grill or oven. 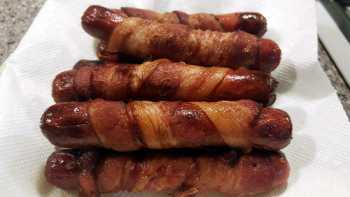 I also didn't use a deep fryer, I used my iron skillet with a half inch of canola oil. 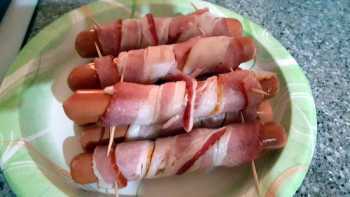 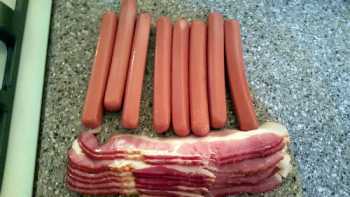 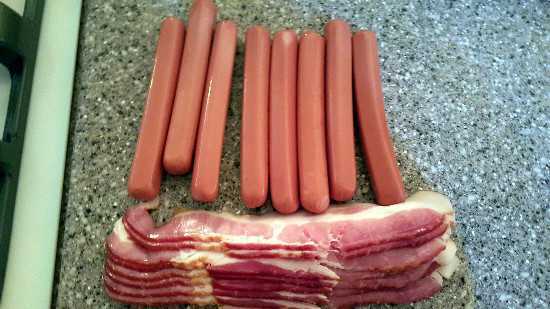 Turn bacon wrapped hot dogs and fry another 30 seconds to 1 minute. Continue frying until all 8 bacon wrapped hot dogs are cooked. 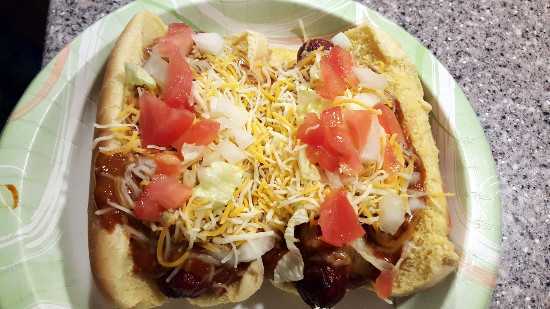 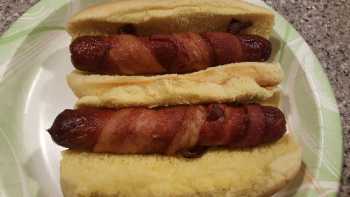 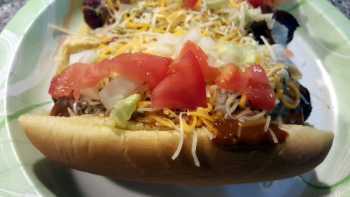 Place 1 bacon wrapped hot dog in your hot dog bun, smother with chili add shredded cheese, onions, tomatoes and enjoy!